“Dedicated to outing the bad apples.” New York Times B.A. Comm, B.A. German aka “Little Miss WomanSaver,” CEO/Founder of WomanSavers.com (World’s Largest Database Rating Men) Stephany Alexander is the founder of one of the most popular women’s websites (top 5%) receiving millions of hits per month. WomanSavers.com is a revolutionary woman-to-woman networking system with thousands of men’s names and descriptions entered by women globally to promote safer dating worldwide. It’s FREE to search and free to post so make sure you screen your dates! Will your next date be a winner, loser or PSYCHO?!? Let Stephany Alexander show your women’s audience how to screen their dates and make better, safer and smarter decisions regarding the men in their lives. Ms. Alexander is frequently called on by the media as the nation’s leading authority on online dating, date screening and dating safer. She speaks fluent German. She has had international media attention including being featured on: FOX, CBS Early Show Miami, Mike & Juliet Show, Sirius, KROQ, KIIS-FM, Esquire, Wall Street Journal, NY Times, Chicago Tribune, Associated Press & countless radio shows. Sue Morem is a nationally renowned author, columnist, media personality, and dynamic speaker specializing in professional development and career success. A prolific communicator, she has written five books, writes a weekly workplace advice column, and has created and been featured in ten training videos, including the revolutionary video podcast series, The Job Seeker. Her first book, How to Gain the Professional Edge, the only real-life book known to be the inspiration for a sitcom, was spotlighted and seen throughout an entire episode of The Drew Carey Show. Her most recent books, 101 Tips for Graduates and How to Get a Job and Keep It, Second Edition, are written for young adults to help them make a successful transition from school into the professional workplace. Sue’s unique ability to motivate and empower her audiences both young and old has made her a sought-after speaker and landed her recognition in scores of national media. Named a “Woman to Watch” by the Minneapolis-St. Paul Business Journal, Morem is the president of Minneapolis-based Premier Presentation, Inc., a training and consulting firm helping people succeed by finding the professional within. Year after year, organizations call on Sue to rejuvenate their team and encourage professional growth. Whether she is talking about personal or professional development, her enthusiasm is infectious and her knowledge is expansive. Emphasizing personal responsibility, Sue motivates people to look within, shows them how to present themselves in the best possible manner and points them in the direction of their dreams. I love what I do and I am passionate about getting my message out. When I started my business over 17 years ago, I knew I wanted to help people become more professional and successful, but I didn’t know how challenging it could be. Professionalism and image are sensitive subjects; no one wants to be told to change his or her image—yet many people miss out on opportunities because of the image they project. I help people see their potential and get out of their own way in order to reach their full potential. 1. She’s engaging: Sue walks her talk. She’s passionate, enthusiastic, and she connects with her audience. 2. She’s energizing: Sue delivers the message people need to hear. Sue tackles sensitive subjects with aplomb and gets people thinking and talking. 3. She’s empowering. She simplifies the complicated. Audiences are motivated to take action. -Sandy Lien, Director of Education, Upper Midwest Hospitality, Inc. Choose a speaker who’s not a talking head – a seasoned lawyer who’s: successfully argued in the Supreme Court about the meaning of equality; who’s made money investment banking; who’s started a women’s webzine about how women are defining their own success, regularly speaks with women leaders worldwide and whose webzine Girlphyte.com has over a million hits. Sue has seen the future of women in the marketplace and it is exhilerating. 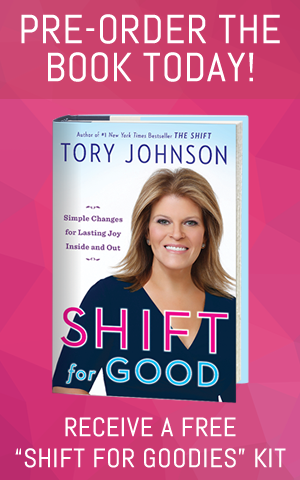 Get fresh facts and insights about how women are changing the culture of the marketplace and how other women are attaining success as they define it by pursing their authentic lives with passion. Success is not about ladder climbing. It is personal, circumstantial, nuanced. It is about growth – being in the right environment, developing deep roots, many branches, achieving personal goals and continuous growth. Why attend a day of talks and walk away with the flush of inspiration that doesn’t translate into action? Changing behaviour is a process. It begins with meaningful interaction, clear direction, a success toolkit and established benchmarks. The marketplace is flooded with words. It’s time for action. And fun and humour. 10. That to really live you have to get out of Kansas. 9. Landing on a witch is not a great way to start your day. 8. Never negotiate with a wizard while wearing gingham. 7. Large hand bags are very useful, but there’s nothing like a wicked pair of shoes. 6. Dogs are great, but they’re only a transitional relationship. 5. Black and white is uber cool, but life in Technicolor has the AHA factor. 4. There’s no place like home, but for a sense of accomplishment, get yourself out there. 3. Making connections gets you over the rainbow. Sue has also been applauded by women leaders who attended the Women’s Executive Network’s Wisdom Training as “transformative”. University students who’ve attended her courses say that they’ve never had the opportunity to learn about how to be successful in university. That stuff just isn’t shared by profs. Don’t leave just feeling good – leave going for your personal gusto with the insights, mechanics and support to get energized, focused, and hungry for more. Sue is for corporations and organizations who not only expect bang for their buck but for measurable response. 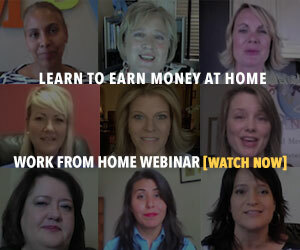 She’s for women who are hungry to leverage their skills and experience and SHAKE IT UP! Sylvia Lafair, PhD, is an international leadership and communications expert and President of CEO – Creative Energy Options, Inc., a global consulting company focused on optimizing workplace relationships. Dr. Lafair’s talents to make the complex simple, has revolutionized the way employees cooperate and teams collaborate. Her award winning book “Don’t Bring It to Work” (Jossey Bass) has been ranked in the top of Amazon’s Best Selling Workplace books. She is often quoted as a workplace relationship expert in newspapers and magazines across the country, including the Wall Street Journal, USA Today, Time, CIO Magazine, New York Times, as well as being on radio, webinars, television, and presenting at national conferences. Sylvia Lafair has two business blogs: “Elegant Leadership”, and “On the Cutting Edge of Change”, and is a contributing writer in WomenOnBusiness.com, Examiner.com, and EvanCarmichael.com, as well as other trade publications. CEO’s flagship program, Total Leadership Connections™ utilizes the tools of PatternAware™ Leadership to help individuals understand how behavior patterns can derail success and how to transform them into productivity, purpose, and profit. As an executive coach and leadership educator, she has 30+ years of experience with all levels of management from corporate officers of global companies to executives of non-profits, owners of leading family-owned businesses, and entrepreneurs. She holds a doctorate in Clinical Psychology and has taught at Hahnemann University. As a workshop leader or keynote speaker, Sylvia engages audiences with her natural storytelling ability. Her quick-witted humor, charisma, and energy are infectious and her knowledge gives substance and depth to all presentations. Her thought-provoking messages leave audiences with information to take back to the office and immediately put into practice. As a workshop leader or keynote speaker, Dr. Lafair engages audiences with her natural storytelling ability. She weaves her knowledge of what makes a successful workplace, where people are happy to go to work every day, into real stories about workplace cultures. Dr. Lafair’s thought-provoking messages leave audiences with information to take back to the office and immediately put into practice. Founded in 1901, Atlanta-based Orkin, Inc. is an industry leader in essential pest management services in the United States, Canada, Mexico, Europe, Central America, the Middle East, the Caribbean, Asia and the Mediterranean. With more than 400 locations, Orkin’s almost 8,000 employees serve approximately 1.7 million customers. The company serves homeowners and numerous industries, including food and beverage processing, foodservice, hospitality, healthcare, retail, warehousing, property/facilities management, schools and institutions. Orkin partners with customers to create and provide customized plans to prevent, treat and control pests in and around the home and workplace. In 2010, Training magazine honored Orkin for the eighth consecutive year as one of its prestigious Top 125 organizations that excel in human capital development. Orkin University’s one of-a-kind $10 million dollar training facility in Atlanta features a full-scale functional house and a commercial facility including a commercial kitchen, restaurant, bar, hospital room and hotel room. In 2006, Orkin launched its interactive satellite network – Orkin TV – that links employees through first-of-its-kind live broadcast technology. As part of its ongoing commitment to community service, Orkin collaborates with the Centers for Disease Control and Prevention (CDC) on several public education initiatives involving pest-related health risks. Orkin and its sister pest control companies launched Fight the Bite in 2008 – a program to help American homeowners reclaim their yards and save lives in Africa by waging war on mosquitoes and the deadly diseases they can carry. Since then, Orkin has given more than $350,000 through its Fight the Bite program to the United Nations Foundation’s Nothing But Nets campaign — a global, grassroots effort dedicated to saving lives by preventing malaria in Africa. One hundred percent of the donation funded the purchase and distribution of tens of thousands of mosquito nets to African countries. In 2010, Orkin has pledged to donate another $225,000 to Nothing But Nets. Please visit Orkin: Fight the Bite, for more information on how you can help. Orkin is also committed to educating communities on pests through its website on termite identification, prevention, treatment and control (www.orkin.com/learningcenter) and Junior Pests Investigators (juniorpi.com). Junior Pests Investigators (JPI) is a free series of K-6 lesson plans designed by educators (that meet National Science Standards) to teach children to think differently about pests and pest management. Orkin has been “keeping pests in their place™” for more than 100 years. During that time, the company has seen many important changes, including changes in its workforce. While Orkin may be known for the Orkin Man, Orkin women have also played a key role in the company’s continued success – which is why Orkin is continually committed to helping women advance in their careers. Recognizing the lack of women in the pest management industry, Rollins, Inc., Orkin’s parent company, formed the Women’s Resource Group initiative in 2008 to help recruit more women into Rollins’ family of pest control companies, and foster the professional growth of female leaders already employed. Whether you are interested in an entry-level position or looking to advance your career, Orkin offers long-term career opportunities with advancement potential to all motivated employees. Visit careers.orkin.com to find out more about Orkin and what we can do for you and your career. What are your job responsibilities at Orkin? My primary responsibility as an operations manager is to assist with ongoing development of my team in the Phoenix branch. My passion is helping each team member succeed. I also assist with managing the branch’s business, including maintaining and growing our customer base and increasing revenue. How long have you been at Orkin? How does Orkin fit into your career path? I joined Orkin in 1999 as a pest control technician. I had been working as a video store manager and thought a career at Orkin offered better job opportunities and benefits than a video store company career. I first started at Orkin as a technician and then moved on to an office position as an appointment scheduler. Although I enjoyed my time in the field, my office job helped me learn more about the company. Over the years, I also have served as a branch account manager, back-up new customer specialist, region administrative assistant and operations manager. What skills are required for women to succeed at Orkin? Women who thrive at Orkin prefer non-traditional jobs and are interested in advancing their careers in a performance-driven company. These women are typically independent, organized and ambitious, and enjoy a fast-paced environment. How has Orkin supported and encouraged you to succeed, both professionally and personally? While I was on maternity leave for my fourth child, I learned there was a job opening for a region administrative assistant in Orkin’s Southwest Region office. I was excited by the opportunity and knew I could succeed in this position. Since I did not want to leave my newborn with a babysitter, I brought her with me to the interview. At the end of the interview, I learned I would need to complete two phone interviews and then wait two weeks for the final decision. After the phone interviews, I called the region manager to confirm when he might be making his decision. He said he would be making it by Friday morning – in my excitement at the time, I forgot I had surgery scheduled for that morning. On that Friday, I told all of the nurses, doctors, assistants and everyone who would listen about this important phone call that would change my life. I stalled the surgery as long as I could before the doctor told me it was time to go. Just as they were rolling me into surgery, my phone rang and I immediately yelled “stop!” so I could take the call. The region manager offered me the position. I thanked him repeatedly for the position and when asked, told him I was on my way into surgery. He very politely responded that he would call next week when I got back to work. After the call, I proceeded into the operating room and was greeted by the doctor, who gave his congratulations on my promotion. Throughout my career at Orkin, I have been grateful for the support of my family and the Orkin management team who have helped me balance my career and my children. I feel fortunate to work for a company where family is important, and have the support of a loving husband who encourages me with each promotion. What advice do you have for other women and companies to succeed in the current economy? At Orkin, we are focused on providing high-quality service so our customers see the value in hiring Orkin. For our customers who are struggling in this economy, we are trying to help them get through this time. As an operations manager, I also am focused on helping my employees cope with this challenging economy, both personally and professionally. I think that if I can help my team remain positive and optimistic, then as a team we will creatively create new ways to build our business; we will survive the current economy; and we will be a stronger team after these economic challenges.